Starting with iOS 12 and the iPhone XS or iPhone XS Max, there is now the ability to add additional carrier data plans via "Add Cellular Plan" option under Settings. This uses a technology called eSIM and has been available in the iPad Pro for some time. It is pretty cool having a single device work with Verizon, AT&T and T-Mobile. 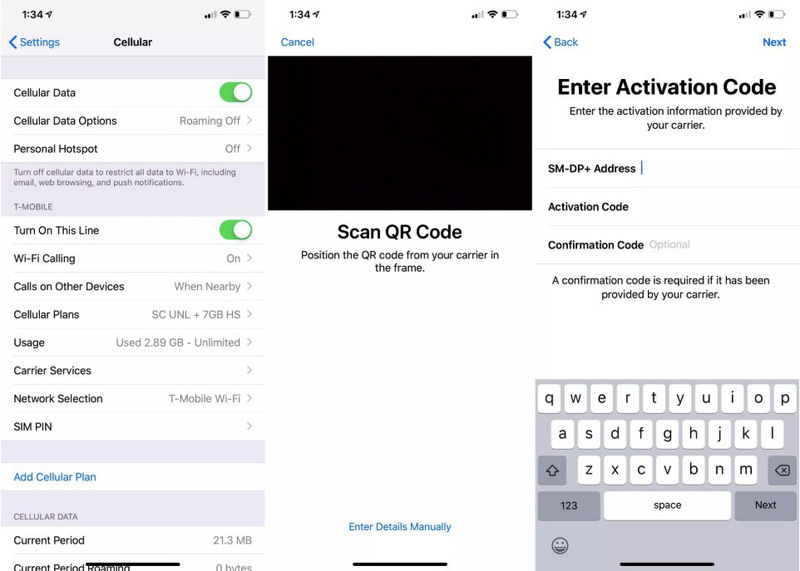 Once T-Mobile offers the ability to "Scan QR Code", you will be able to add a 2nd line of service to your existing Verizon, AT&T or Sprint iPhone.